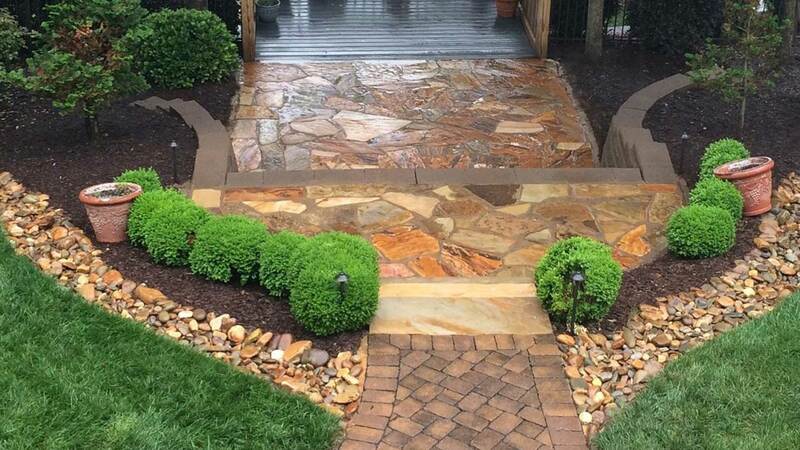 When you want the wow factor and the ranges of colors, here at Lake Norman LawnScapes Supply, we have a wide variety of natural stones from up and down the coast. Between your vision and our 20 plus years’ experience, we can dramatically enhance your living area. Natural stone patios around a pool or deck is a beautiful accent and add value to your home. Stone has been around forever and it has a lasting impression on the installation. It holds up well to all types of weather and conditions. 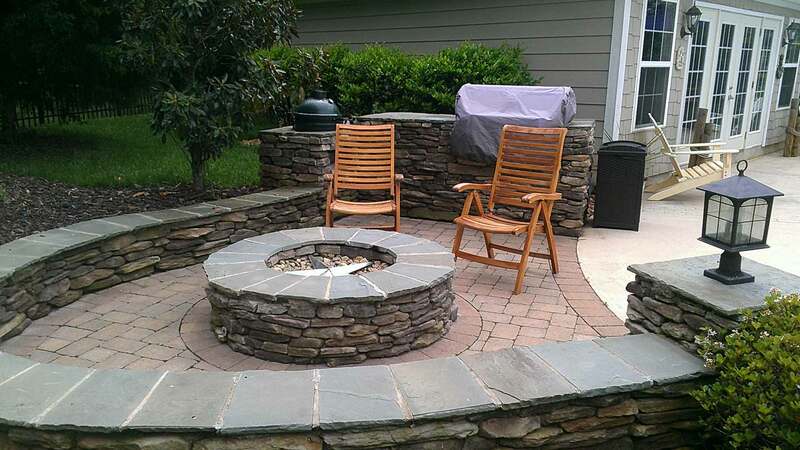 Let our outdoor living specialists add a place for relaxation and enjoyment for years to come. 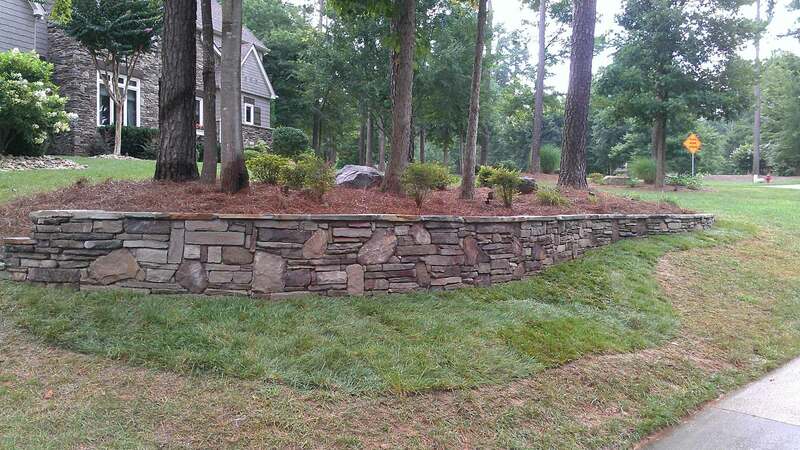 A natural stone wall around the landscape beds will keep the yard looking nice and neat with definition and add curb appeal. Be the envy of your neighborhood, and call us today. 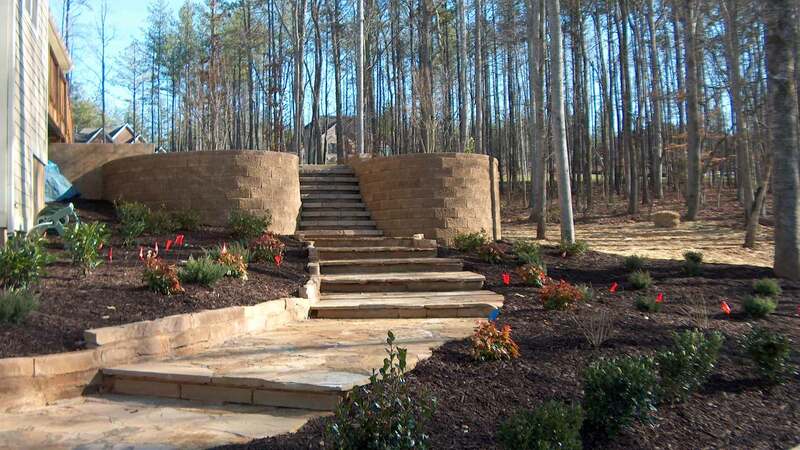 Our retaining wall builders have years of experience and the our masons can deliver you that beautiful decorative natural stone wall you’ve been wanting. We offer SAME DAY DELIVERY on most items so your order will be delivered within a matter of hours! All information provided is provided for information purposes only and does not constitute a legal contract between Lake Norman LawnScapes Supply and any person or entity unless otherwise specified. Information is subject to change without prior notice. Although every reasonable effort is made to present current and accurate information, LinkNow!™ Media makes no guarantees of any kind.